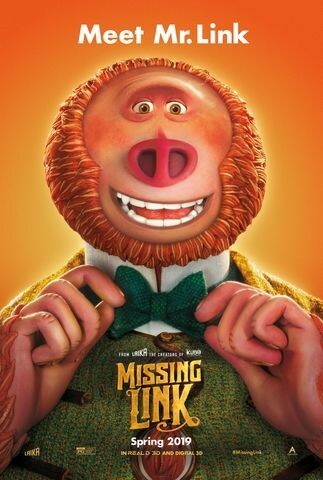 A new animated adventure film is coming to theaters starting next week, April 12, called the Missing Link. It is written and directed by Chris Butler and produced by Laika and features the voices of Hugh Jackman, Zoe Saldana, Emma Thompson, Stephen Fry, David Walliams, Timothy Olyphant, Matt Lucas, Amrita Acharia, and Zach Galifianakis. The film follows the story of Mr Link, who is 8 feet tall and covered in fur, is tired of living a solitary life in the Pacific Northwest. He recruits fearless explorer Sir Lionel Frost to guide him on a journey to find his long-lost relatives in the fabled valley of Shangri-La. Our client, Menchie’s Frozen Yogurt, has partnered with the production company, Laika Studios, to help celebrate the film. The Menchie’s and Missing Link Adventure Sweepstakes kicked off on April 1 and will run till the end of the month. From now up till April 30 Menchie’s customers will automatically receive one entry into the Sweepstakes when they use their registered Menchie’s loyalty card at any Menchie’s Frozen Yogurt store. 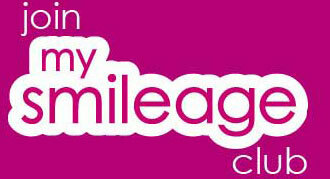 Those that don’t have a card are invited to stop into any location and register for their My Smileage club card. Participants can also enter online at the Menchie’s website at www.menchies.com/MissingLinkAdventureSweepstakes. One lucky Grand Prize winner will win a trip to the Grand Canyon for up to four people. The trip package includes up to four round trip airline tickets and hotel accommodations that includes three standard room nights at the Grand Canyon Railway & Hotel located in Williams, AZ and two standard room nights at the Maswik Lodge North located in the Grand Canyon National Park. Also included are up to four tickets to the train experience which travels daily from the Grand Canyon Railway & Hotel to the South Rim of Grand Canyon National Park. A check for $250 will also be sent to the Grand Prize Winner to help cover any additional expenses. The total value of the Grand Prize is $4,750. Menchie’s Frozen Yogurt is an award winning franchise which currently has more than 540 locations around the world including the U.S.A., Canada, Puerto Rico, England and more. They are promoting this sweepstakes within Menchie’s locations located in the U.S. with posters and other point-of-sale and on their social media sites as well. We set up the Sweepstakes entry page for Menchie’s and again are using the Shortstack Application to build the entry form and collect all the entrant’s data. We then gave Menchie’s the code so that they could embed the entry form on a page on their website. All of Shortstack’s entry pages are mobile friendly and last year they added an easy way to include CSS coding which is great for those of us that don’t have much programming experience. If you would like more details on how to set up a promotion utilizing the Shortstack platform, please feel free to contact me. It’s a great tool and it also includes a great team of support people. So now that’s it’s officially Springtime, it’s time to get out and enjoy some Menchie’s Frozen Yogurt! You can also download their new app and get $5.00 in Menchie’s money. © 2019 American Sweepstakes, All rights reserved.